Once used behind enemy lines to protect the American people, the Boeing B-17 Flying Fortress, Consolidated B-24 Liberator, and North American B-25 Mitchell now soar over the United States in a tour known as the Wings of Freedom. These three aircraft make stops throughout September and October in the eastern US, educating about the role these planes had in World War II and allowing the future of America to learn a little something about the past of America. One of these stops is in Londonderry, New Hampshire. 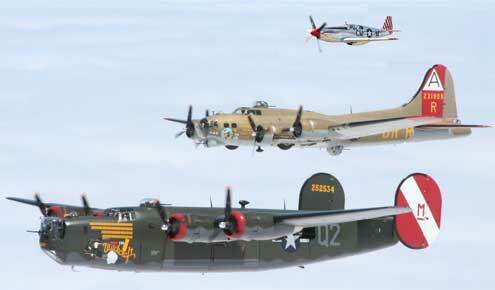 The Collings Foundation B-17, B-24 and P-51 come to Londonderry, NH, Manchester-Boston Regional Airport every fall. The aircraft will be parked at Manchester-Boston Regional Airport, just 45 minutes north of Boston, 45 minutes from the coast, and 45 minutes from the lakes region. If you missed these authentically restored planes in Laconia, just before their stop in Londonderry, don’t miss them again! They’ll be traveling south after only a few days in Londonderry. Did you know? This was the terminal that every serviceman and woman traveling by air passed through on the way to Europe in WWII? If they traveled by air, Londonderry and Manchester bid them farewell, some for the very last time. The B-17, B-24 and P-51 will be located in Londonderry on the east side of the field. For just $12 for adults and $6 children 12 and under, visitors can tour the last remaining machines. For a a few hundred dollars, visitors can go on a mission in one! Tours are available during the hours noted. Missions are scheduled before and after the tour hours. 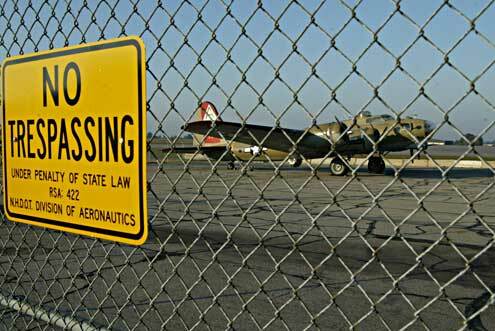 Located mostly in Londonderry, the airport is easily accessible from Interstate 293. Click here for a Google map of the Wings of Freedom Tour in Londonderry. Go to the New Hampshire Aviation Historical Society site for more information on this museum located right here in Londonderry! Go to the Wings of Freedom Tour website for the full details and the current schedule.